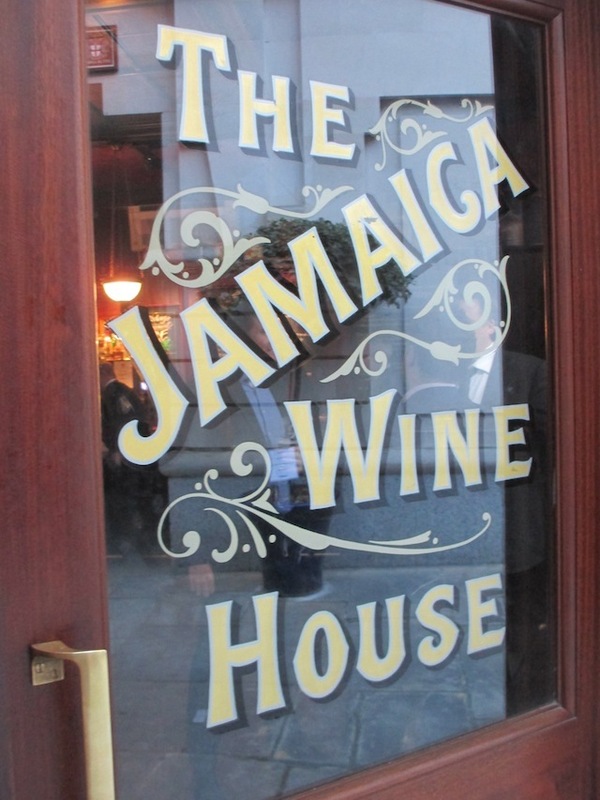 Despite its name, the Jamaica Wine House has no discernible ties to the Caribbean, and is very much a pub. 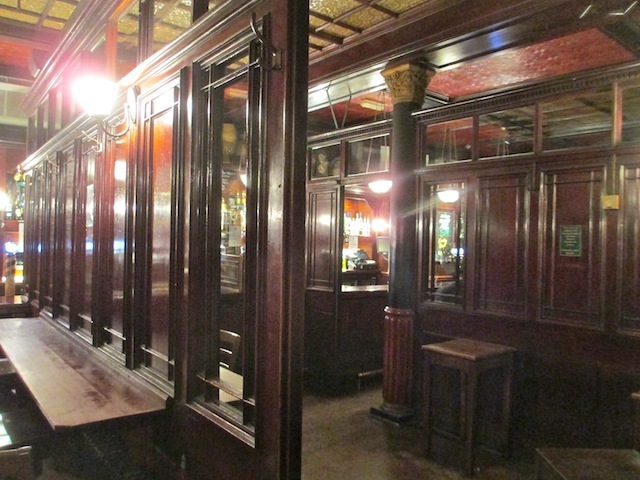 In fact, it's about the most pubby pub one could imagine, all wooden dividing panels and an emphasis on beer. 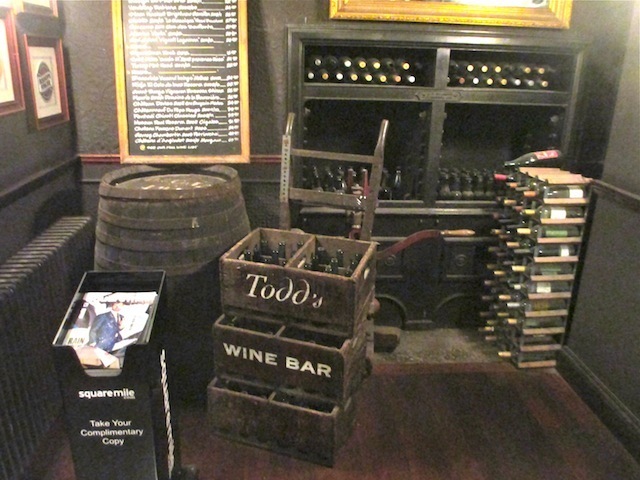 The wine drinking is more suited to the often-overlooked Todd's cellar bar — a good bet if the upstairs is heaving, as it so often is, and also the best place to grab a bite to eat. 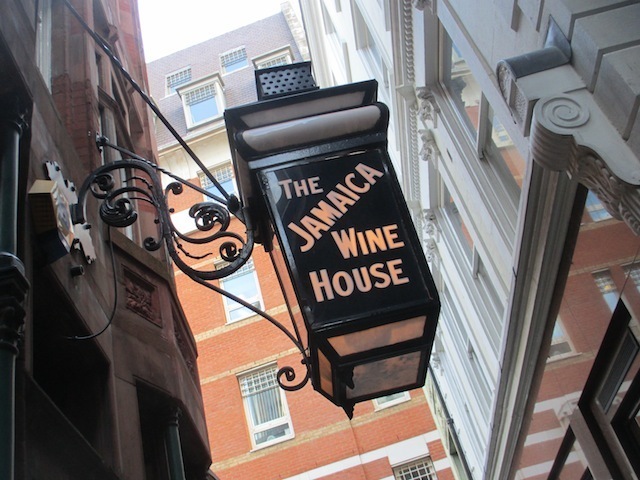 The pub is approached via a series of alleyways, immediately conferring a special atmosphere on the place. 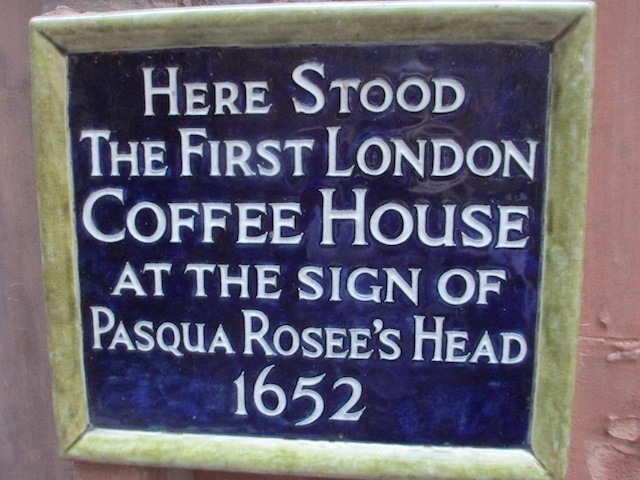 It was here, more than 350 years ago, that England's first coffee shop was opened by one Pasqua Rosee. The building has changed, but its elegant, terra cotta Victorian replacement is something of a local landmark — if buildings hidden in alleyways can be said to be landmarks. The beer choice is limited to Shepherd Neame Kentish regulars such as Master Brew, Whitstable Bay and Spitfire, while the wine selection is pretty good. On hot summer days and evenings, the crowds spill out into the alleys, then decant like corpuscles into neighbouring courts and yards — it's a rather lovely way to drink al fresco. 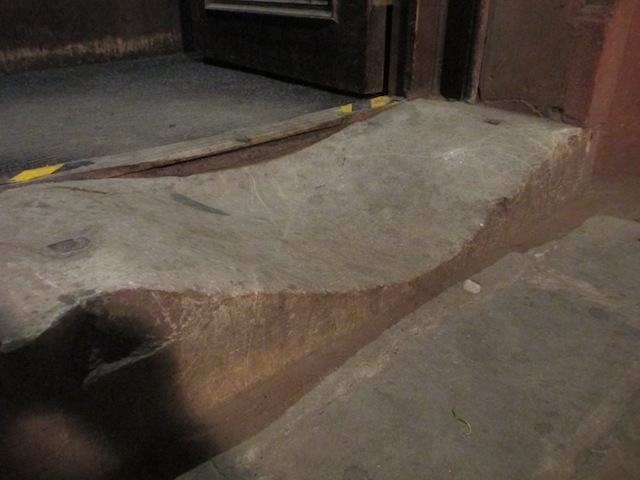 Mind the badly eroded step. Down in Todd's wine bar. 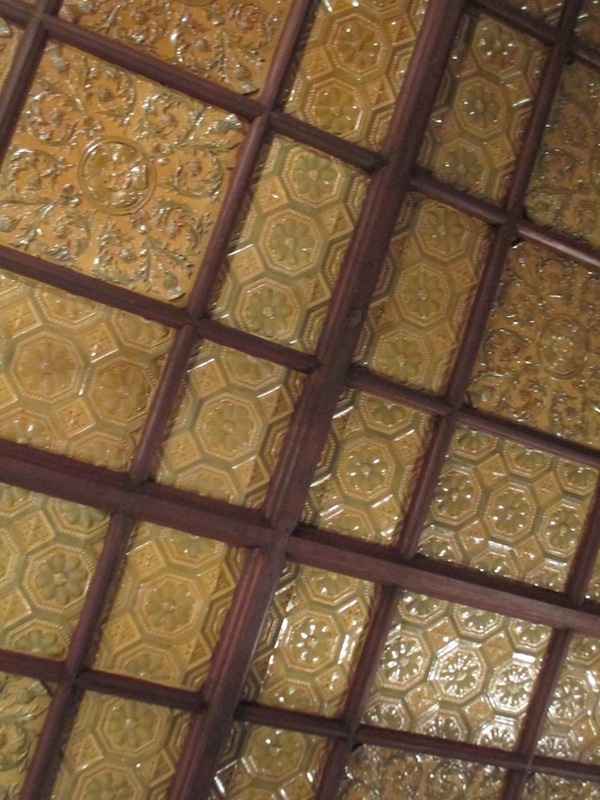 Shell-style ceiling. If you go upstairs, you can see all the tortoise legs poking out. Before the Great Fire, dontchaknow. Known locally as 'the jampot', apparently.